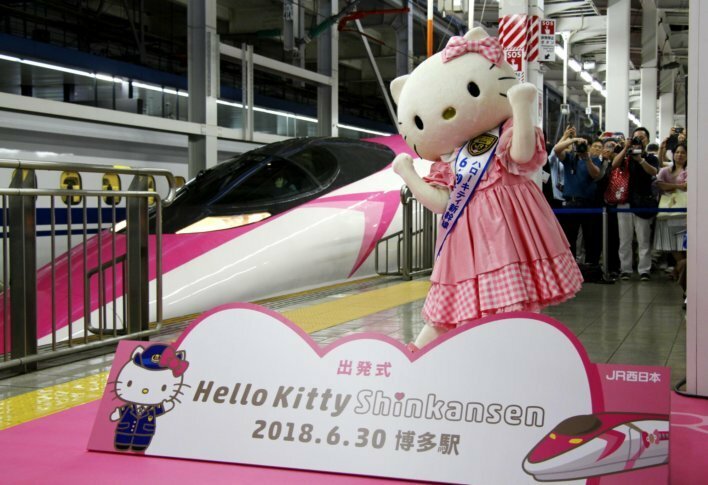 A Hello Kitty-themed "shinkansen" bullet train has debuted in Japan. Adorned with the cartoon icon inside and out, it's a dream ride for fans of the internationally popular character. See photos. The special shinkansen had its inaugural round trip Saturday between Osaka and Fukuoka, connecting Japan’s west and south. It will run through September.